Sai Pradoo is well known for wicha Saiyasart for a long time. Originate from pre-war master LP Glan (Wat Phayat, Ayuthya). LP Glan used to win over other master guru in meditation and concentration competition which made him well known and last time any monk that were keen to learn Wicha saiyasart would have to go to Sai Pradoo. Many people know about Wat sakae due to its phra phrom. 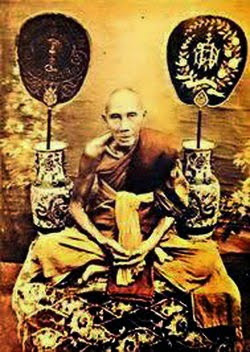 But not many know that Wat Sakae has the lineage from Sai pradoo. Wat Sakae is known in thailand for its Phrom. A top famous master for this is Ajarn Heng, a senior disciple of LP Glan, Wat phayat, Ayuthya. In 2480s, Ajarn Heng designed the first 3-dimensioned , 4 faced buddha on a 2 dimensional platform. And it is an instant hit with many guru monk today still following this design. LP Sie and Ajarn Heng had the same master, which was LP Glan. Both learned Wicha under this great guru. 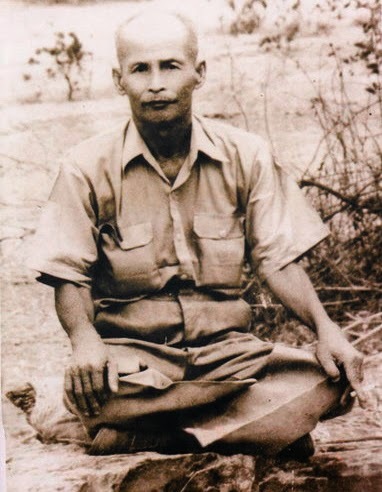 LP Sie was junior to Ajarn Heng and later on learned the making of 4-face buddha under Ajarn Heng. In fact, most of Ajarn Heng's phrom which cost > 500k THB now was jarned by LP Sie. And LP Sie was in most ceremony helping out with the making and consecration ceremony. After Ajarn Heng passed away in 2503, LP Sie took over and produced phrom in similar design and also other design currently famous. Refer to my other post on LP Sie's phrom. 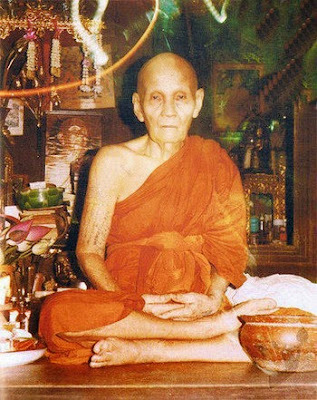 LP Doo of Wat Sakae is another master monk of Phra Phrom. He used to be a wicha saiyasart practitioner before fully into Dhamma and meditation. 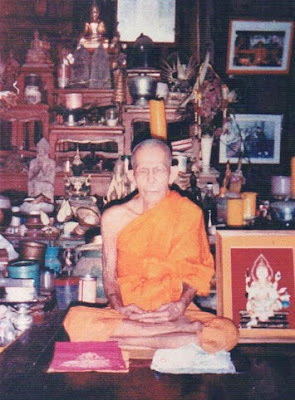 Master is well-known for phrom making using olden days Ajarn heng method and also pert loke which many claims to be effective as he is one of the the rare one that can communicate with LP Thuat directly.